Canon’s SX7 Mark II D with DICOM Simulation Mode is the latest addition to the REALiS multimedia projector lineup. In the medical-education field viewing monochrome digital X-Rays, CAT Scans, and MRI’s with accurate color and precise detail is key, and the REALiS SX7 Mark II D is able to meet this need on a scale much larger than traditional monitors. 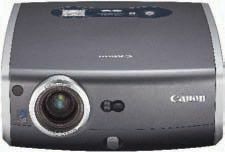 Like all REALiS Projectors, the SX7 Mark II D offers Canon’s LCOS technology. This technology, combined with the projectors native SXGA+ high resolution and impressive brightness, helps deliver images with color reproduction, fine lines, and crisp small text. Black Box Corporation’s MediaCento XD extenders is intended to enable the extension of DisplayPort audio and video over ordinary UTP copper cable, the modular, signalconversion devices also communicate with existing HDMI/DVI source equipment and display devices. The DisplayPort 1.1a compatible MediaCento XD transmitter can be plugged into a DisplayPort HD electronics device and, using ordinary Cat-5e or Cat-6 cabling, extend signals up to 600 feet to a MediaCento XD DisplayPort receiver or MediaCento XD HDMI/DVI receiver attached at a screen. The transmitter can also be ordered with HDMI/DVI input for use with existing digital AV players and other source equipment. Bretford Manufacturing’s Juice Power System is a tool created to help facilities increase connectivity, reduce installation costs, and protect technology equipment. The Juice Power System allows up to four tables and eight computer stations to be powered from a single outlet without the expense of hardwiring or the clutter of individual power strips. The Juice Power System is designed to be a tool-less installation that doesn’t require an electrician or building modification so it can be incorporated into a facility for less than half the cost of most hardwired components. Additionally, the Juice system powers from standard outlets and the tables can be connected in any order to allow the room to remain flexible and easily reconfigured to meet the changing needs of a work environment. Hall Research has introduced the latest addition to its compact AV “glue” products that provide connectivity between different video formats. The SC-VHD-HDMI is used to convert PC video and audio (RGBHV and line level audio) or Component Video (YPbPr) to HDMI or DVI at customer specified resolution. The unit can automatically set its output at the native resolution of the connected display by means of the display’s EDID and is perfect for connecting a PC or notebook to an HDTV using a single HDMI cable. Wohler’s closed caption video monitor adaptor decodes and renders closed caption subtitles for any video monitor to display, conveniently allowing the operator to confirm the presence and accuracy of critical video and caption data using existing monitors that lack caption display capability. Suitable for any point in the broadcast or production chain, this small, externally-powered unit translates an HD/SD-SDI multi-rate input containing closed captioning signaling into a burned-in HD/SD-SDI or DVI signal with open captions added to the picture. The CD-1 is designed to automatically detect and decode WST, OP-47, and EIA-608/EIA-708 subtitles. Output options include two open-caption HD/SDI outputs, a DVI open-caption output, and an RS-232 output of closed caption contents. Roland Systems Group’s MVS-12 multi-viewer/switcher can group and display up to 12 SD video signals to a single HD or RGB monitor. This multi-viewer is a companion for the line of Edirol SD video mixers such as the LVS-800 and V-8. The MVS-12 is ideal for many applications where users need to preview multiple video sources at once such as in worship, school, corporate, rental, and event applications. The MVS-12 is designed to eliminate the need for individual preview monitors, combining 12 SD inputs into one LCD display. In addition to the multi-viewer function, the MVS-12 has a built-in matrix switcher allowing up to 12 video sources to be routed to up to four separate outputs such as separate rooms, screens, or web-streaming devices for live broadcasts. Panamax MD2 family of surge protectors is bolstered to include Panamax’s exclusive Protect or Disconnect circuitry while offering a new paintable cover and slim, unobtrusive design. With Panamax’s Protect or Disconnect circuitry, the MD2 units disconnect AC power to connected equipment in the event of a catastrophic surge, such as lightning. The models feature a removable front cover that can be painted to match any wall color and a compact size of 3.25 inches by 5.25 inches, with a depth of only 1.5 inches. Premier Mounts’ UNI-DS+AUDIO enhances digital signage video messages with stereo sound. Digital signage components may be stored in the integrated GearBox. A tilt and swivel flat panel mount is attached to a stylish extension arm, which gives the monitor a horizontal swivel range of ±40 degrees. The new mount is intended for public venues such as retailers and museums to hotel conference centers to small and large event venues. The universal mount provides its own set of speakers, an advantage when flatpanel displays do not have their own. Designed with an acoustically balanced stereo speaker system that includes 5.25-inch woofers, directional tweeters, and a 50-watt amplifier, the UNI-DS+AUDIO’s dynamic audio system is designed to distribute sound evenly. It also supports multiple audio inputs. Kramer Electronics’ VP-200N5 is a high-performance, HDTV compatible distribution amplifier for computer graphics video signals with resolutions up to and exceeding UXGA. The unit accepts one computer graphic input, provides buffering and isolation, and then distributes the signal to two identical outputs on a high-density 15- pin HD connector. The VP-200N5 has a video bandwidth of 370 MHz to ensure performance with high-resolution graphics modes such as UXGA. The VP-200N5 features Kramer’s Kr-isp advanced sync processing technology. It restores the sync signal waveform to provide a sharp, stable image and ensure compatibility with a wide range of computers, even if the sync level is too low. Caltron Industries, has added a new LED backlit open frame monitor, the 8.4-inch LBT-0842O, which is available in both regular and touchscreen versions. With the LBT-0842O’s added options, users now have an affordable and versatile way to take advantage of LED benefits for their applications. Energy conscious environments can now take advantage of the benefits that lowenergy consuming LED panels offer compared to its CCFL backlit brethren. Whereas most CCFL panels are rated at 20,000 hours MTBF (mean time between failure), the new 8.4-inch LED panel used in the LBT-0842O is rated at 50,000 hours MTBF. The monitor provides superior horizontal and vertical viewing angles, an ultra-clear and bright 450-nit LED panel, and a much wider operational temperature range to meet the demands of integrators and custom OEM projects in areas such as digital signage, kiosks, and automated vending markets. The Exstreamer 120 IP audio decoder is designed to serve as the end decode/receive link for high-quality audio streaming and control over point-to-point or multipoint IP networks. The Exstreamer 120 can also act as a solid-state player for various applications, using the new Barix Digital Message Repeater application. The device carries over features from the popular Exstreamer 110 and adds a MicroSD card slot for added content protection when playing audio direct from the device. The modular Barionet 50 can operate standalone or in concert with other devices, web servers, and control systems for professional applications, including access control, machine data collection, and environmental monitoring. DT Research has introduced the MS800 and MS400, two digital signage appliances in the WebDT Signage System line, capable of powering content on up to eight and four screens, respectively. The MS800 enables powerful content streaming on anywhere from two to eight displays, and the MS400 powers up to four screens with digital signage content. These new WebDT Multi Screen Appliances offers content blending, or tiling, across screens and along with WebDT Content Manager software, provide the industry’s first fully integrated system with 1080p over up to eight screens and multi-zone management for up to 16 zones. PESA’s new Sabertooth fiber optic mini-extenders are designed to transport SD/HD/3G-SDI video over long distances using just one fiber optic cable. As one of the smallest profile coaxto- fiber and fiber-to-coax digital video media converters, the Sabertooth has a diameter of 0.55-inches and is only 3.14-inches long. They provide high-performance media conversion between BNC equipped 75-Ohm coax and LC connector-style single mode or multimode fiber cable. With a diameter smaller than a BNC connector, the Sabertooth is designed for the tightest possible unit-to-unit pitch available, making them ideal for sharing fiber and coax connections on a standard BNC-based router. Video Mount Products’ DS-CH digital signage computer is 11 x 7 x 2.375 inches and is designed to attach to mounting rails in landscape or portrait positions to better hide behind the flat panel, while utilizing tamper resistant hardware. The DS-CH works in conjunction with VMP models FP-LDSB, PDS-LC, and PDS-LFT, as well as most other manufacturers’ mounts, which have sufficient clearance for the box. Digital Projection International’s E-Vision series is the newest platform in DPI’s high-brightness, high-value projection line. The E-Vision WXGA 600 serves as a bright projector benefitting from the imaging fidelity of Texas Instruments’ DLP technology. With numerous lens options, user swappable color wheels and advanced color controls, the 6000-lumen E-Vision WXGA 600 is designed for lecture halls, conference venues, houses of worship, corporate auditoriums and boardrooms, and digital signage. projectiondesign’s FR12 Remote Light Source DLP projector relocates the lamp from the projector to a rack-mount enclosure that can be positioned up to 30 meters from the projector head, with light passing from source to head via a liquid light guide cable. The result is a compact projector that combines image quality with installation flexibility and silent operation. Integrators benefit from simplified installation owing to the removal of ventilation and orientation challenges. Development of the FR12 was undertaken in close collaboration with Texas Instruments DLP products.